If you feel like your mobile phone’s battery is dying sooner the older it gets, you’re not alone. A common frustration among smartphone users is battery life — as phones age, it often seems harder and harder to get the battery to last all day. Fortunately, there are some tricks you can start using to care for your mobile phone battery and extend its life so you’ll be able to rely on it staying charged while you’re on the go. Developing a few battery-care techniques can go a long way when it comes to getting your mobile phone to hold its charge longer. You might have noticed that a lot of phones these days have the option to “quick charge.” This can be convenient when you’re in a rush and can’t wait for your phone to fully charge, but over time you’ll pay the price as you could notice your phone’s battery dying quicker. This is because charging your phone’s battery in this way shrinks its storage capacity. Whenever possible, charge your phone the slow way. Extreme temperatures are not great for your phone’s battery life. If you live in a cold climate you’ve undoubtedly noticed how exposure to the cold causes the battery to fade sooner, and the same goes with hot temperatures. In fact, when phones get too hot permanent damage can be done to the battery. Protect your phone by keeping it out of direct sunlight and, if you live in a cold climate, keep it in an inner pocket of your jacket so it can stay warm. 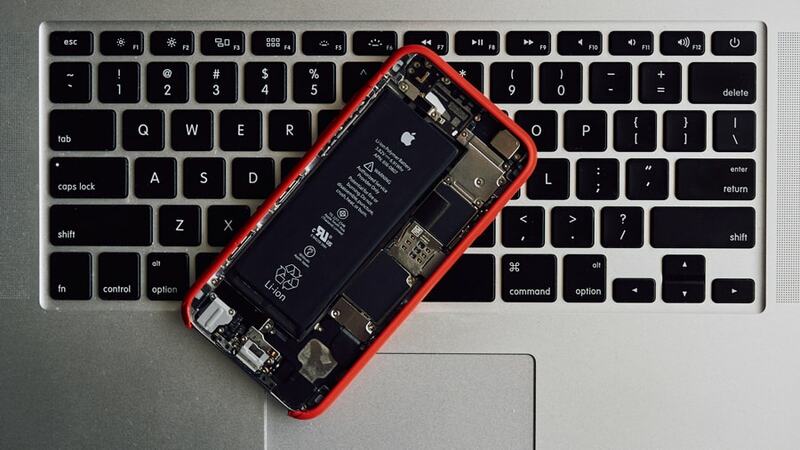 Of course no one wants their phone to completely hit 0% battery, but it can be more than just inconvenient — when your phone’s battery completely dies it can actually damage the battery cells. If you want your battery to have a long, fruitful life try to keep it from completely running out. If it helps, establish a charging routine so that you’re always charging your phone at night or during your commute. By turning down the brightness on your screen, it will take less battery power for your phone to perform simple tasks — this will make it last longer each day and should have a positive impact on the total lifespan of the battery because you’ll be charging it less overall. Some phones have a battery saving mode built in that will automatically reduce the brightness of your screen in addition to other tactics. If you’re serious about extending your battery life, turn your battery saving mode on to take all the guesswork out of the process. How many times have you wondered how your battery drained when you were barely using your phone all day? It could be because you unknowingly left an app on in the background the sucked your battery life. Double check that you close all non-essential apps when you’re done using them to reduce battery usage and extend your batter’s life long-term. A good tip is to close all your apps before going to bed each night — that way you make sure you start each day with a fresh slate. You might not be able to survive with absolutely no notifications, but by limiting notifications to only the essentials you’ll cut down on the amount of work you’re asking your battery to do. Even if you can’t completely cut out notifications, reducing their frequency could also help. As a bonus, it may even make you less addicted to your phone! (That’s wishful thinking, we know). The screen timeout is how long it takes your phone to turn off the screen after you’ve last used it. By reducing your screen timeout to the minimum you’ll lessen the amount of time your phone is active. Yes, it only amounts to a few seconds of difference. However, think of all the times a day you look at your phone. Now imagine how quickly those seconds add up. A little bit goes a long way with this one. With your wireless headphones, activity trackers and in-car, hands-free phone calls you might feel like you simply can’t part with Bluetooth. The problem is, Bluetooth uses a lot of battery. When you’re not using your Bluetooth devices, make sure it’s turned off. A lot of people don’t like to turn their ringers on because a ringing cell phone can be a nuisance in public or in business meetings. Vibrate, however, uses way more battery power than your ringer. Think about it — your phone literally has make itself shake when a call comes through on vibrate. That’s a lot more effort than playing a ringtone. It might be hard to incorporate every battery saving trick into your daily routine, but picking just a few that would work for you can help your battery last longer over time. Make a habit of looking after your battery and you’ll reap the rewards with a charge that lasts long, even as your phone ages.